I think I was born with Dr. Pepper running trough my veins. Have you ever cooked with it? 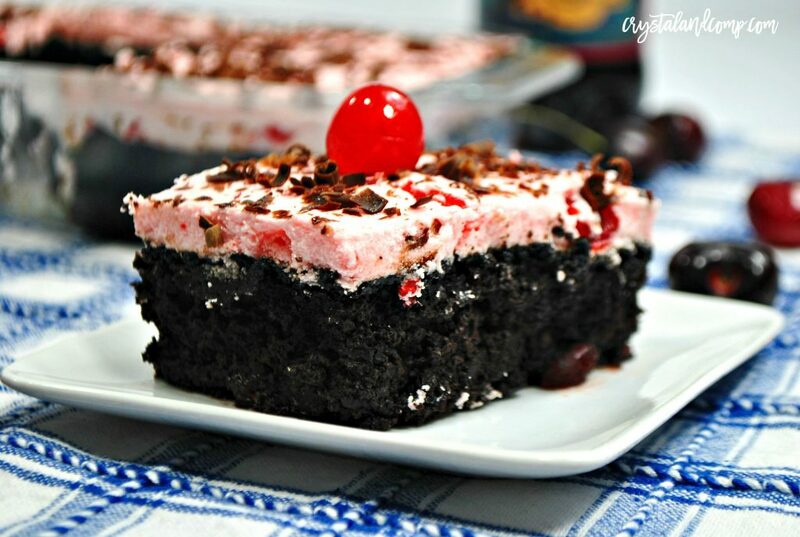 Let me show you just how easy it is to make this Cherry Dr. Pepper Cake. That is right! 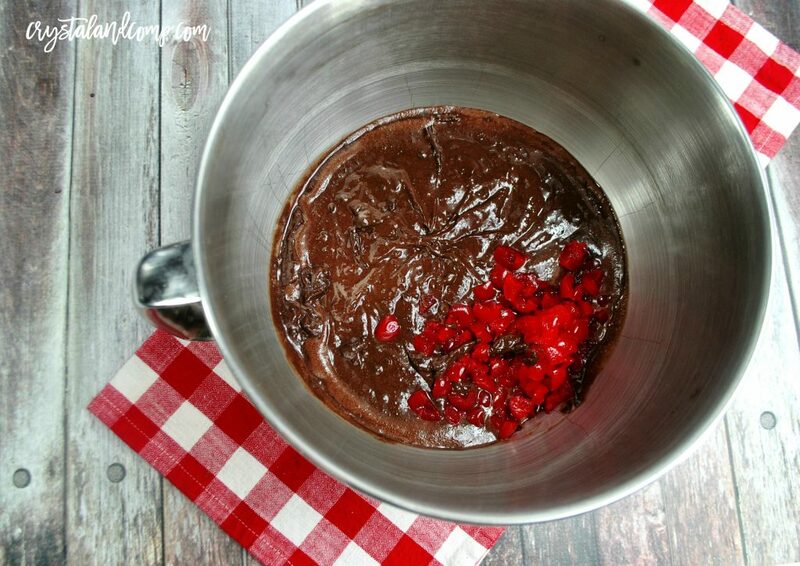 We are taking Cherry Dr. Pepper and adding it to a chocolate cake mix, along with some other ingredients, and making the perfect sweet treat. 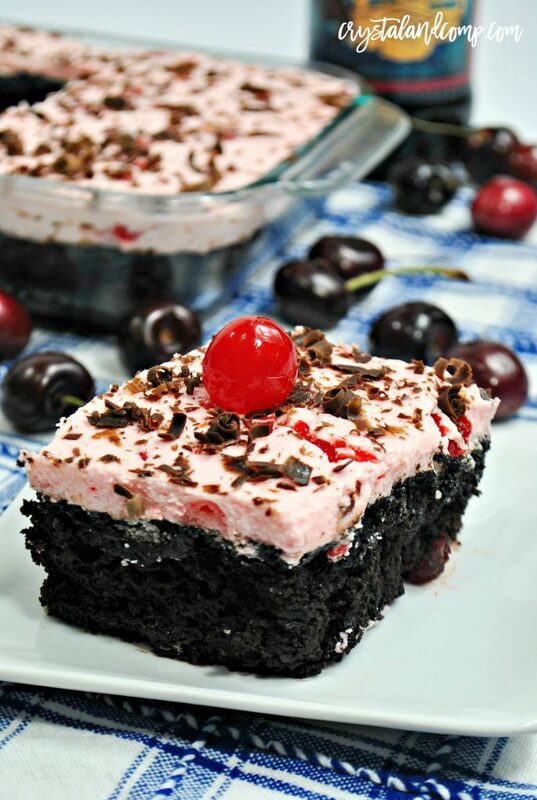 We are all about cherry desserts right now! Then, we’re going to make a homemade cheery icing that is out of this world! Are you ready for it? Everyone will be begging for your recipe! Let me show you just how easy this is to make. First, preheat oven to 350 degrees. Gran a 9×13 baking dish and spray it with baking spray and set it to the side. Using a standing mixer, I love my Kitchen Aid, mix together the cake mix and soda until it is well combined. Cut the cherries in half and fold them into the batter. 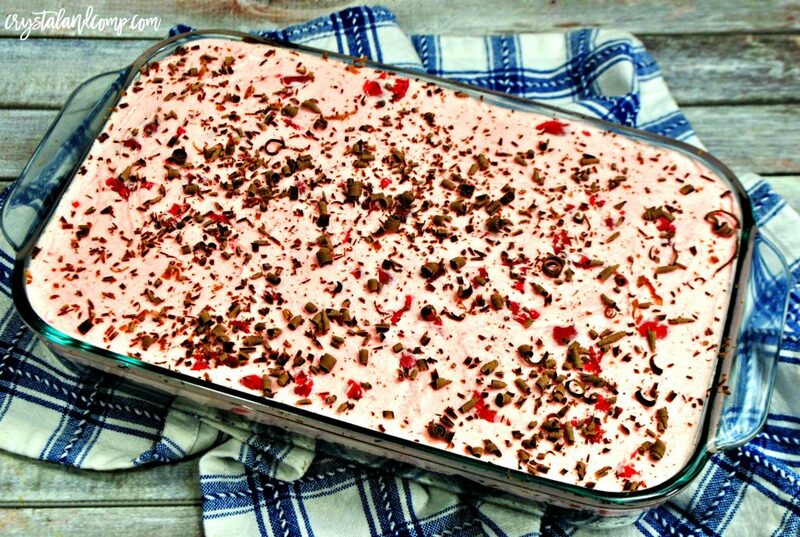 Pour the cake batter into the baking dish. Bake it in the oven for 30 minutes or until a toothpick comes out clean when inserted in the center. You want to allow the cake to cool completely before frosting. Using your standing mixer, cream together the butter, powdered sugar and cherry juice until combined and stiff. If your frosting is thin, add in more powdered sugar 1/4 of a cup at a time until it reaches the desired thickness. Scoop the frosting onto the cake and and smooth evenly over the cake. Use a shaver or grater to add chocolate shavings to the top of the frosted cake. You can chop up a few cherries as well and distribute them. You don’t want to cut it just yet. Place into the fridge for an hour to allow the frosting to harden before cutting. After it’s been in the fridge for an hour, slice it up and enjoy! This is totally a crowd pleaser! Gran a 9x13 baking dish and spray it with baking spray and set it to the side. Now let's make the frosting. Using your standing mixer, cream together the butter, powdered sugar and cherry juice until combined and stiff. If your frosting is thin, add in more powdered sugar ¼ of a cup at a time until it reaches the desired thickness. You don't want to cut it just yet. After it's been in the fridge for an hour, slice it up and enjoy! I think that my sister was born with Dr. Pepper running through her veins too, and she really like Cherry Dr. Pepper. When I saw this post, it jumped out and called her name. I’m going to surprise her and make it for her. Thank you for sharing at Friday Feature. This is a great recipe for cake lovers. Thanks for sharing it with us at Fiesta Friday. I’ve never thought of putting Dr.Pepper in a cake. That looks delicious! I love the combination of cherries and chocolate and I can’t wait to see how the combination tastes with the addition of the Dr Pepper! Looks so yummy! We hope to see again this Friday…have a great week! I can definitely see how this cake would be a real crowd pleaser! You can’t go wrong with chocolate and cherries. Thanks for sharing this at Fiesta Friday! Your post was featured on Full Plate Thursday and thanks so much for sharing it with us! Have a great week and come back soon!